The Municipal Storm Water Program regulates storm water discharges from municipal separate storm sewer systems (MS4s) throughout California. U.S. EPA defines an MS4 as a conveyance or system of conveyances (including roads with drainage systems, municipal streets, catch basins, curbs, gutters, ditches, man-made channels, or storm drains) owned or operated by a State (40 CFR 122.26(b)(8)). Pursuant to the Federal Water Pollution Control Act (Clean Water Act) section 402(p), storm water permits are required for discharges from an MS4 serving a population of 100,000 or more. The Municipal Storm Water Program manages the Phase I Permit Program (serving municipalities over 100,000 people), the Phase II Permit Program (for municipalities less than 100,000), and the Statewide Storm Water Permit for the State of California Department of Transportation. The State Water Resources Control Board (State Water Board) and Regional Water Quality Control Boards (collectively, the Water Boards) implement and enforce the Municipal Storm Water Program. Per Section J of the Small MS4 Permit, “This Order expires on July 1, 2018. If this Order is not reissued or replaced prior to the expiration date, it will be automatically continued in accordance with 40 CFR 122.6 and remain in full force and effect.” Therefore, all permit conditions and requirements will have to continue to be implemented until a new permit is adopted. Permit Section J of the Small MS4 Permit further states “If you wish to continue an activity regulated by this Order after the expiration date of this Order, you must apply for and obtain authorization as required by the new permit once it is issued.” Therefore, once the new permit is adopted by the State Water Board, applicants will be required to submit a Notice of Intent, including all information required by the new permit, at that time. The Regional Water Quality Control Boards have adopted NPDES permits to regulate storm water for municipalities. Most of these permits are issued to a group of co-permittees encompassing an entire metropolitan area. Phase I MS4 permits require the discharger to develop and implement a Storm Water Management Plan/Program with the goal of reducing the discharge of pollutants to the maximum extent practicable. For more information, visit the Phase I Permit Program page. The State Water Resources Control Board issued a General Permit for the Discharge of Storm Water from Small MS4s (Order 2003-0005-DWQ) to provide permit coverage for smaller municipalities, including non-traditional Small MS4s, which include facilities such as military bases, public campuses, prison and hospital complexes. 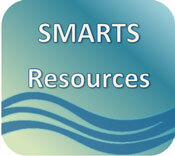 The Phase II Small MS4 General Permit covers Phase II permittees statewide. On February 5, 2013 the Phase II Small MS4 General Permit was re-adopted (Order 2013-0001-DWQ) and the new requirements became effective on July 1, 2013. For more information, visit the Phase II Permit Program page. The California Department of Transportation (Caltrans) is responsible for the design, construction, management, and maintenance of the State highway system, including freeways, bridges, tunnels, Caltrans' facilities, and related properties, and is subject to the permitting requirements of Clean Water Act section 402(p). Caltrans' discharges consist of storm water and non-storm water discharges from State owned rights-of-way. The State Water Resources Control Board issued the statewide Permit for Caltrans, which regulates all discharges from Caltrans MS4s, maintenance facilities, and construction activities. For more information, visit the Caltrans Program Page. On April 7, 2015, the State Water Board adopted an Amendment to the Water Quality Control Plan for Ocean Waters of California (Ocean Plan) to Control Trash and Part 1 Trash Provisions of the Water Quality Control Plan for Inland Surface Waters, Enclosed Bays, and Estuaries of California (collectively referred to as "the Trash Amendments"). The Trash Amendments accomplish the following: (1) establish a narrative water quality objective for trash, (2) corresponding applicability, (3) establish a prohibition on the discharge of trash, (4) provide implementation requirements for permitted storm water and other discharges, (5) set a time schedule for compliance, and (6) provide a framework for monitoring and reporting requirements. Following adoption, the Trash Amendments were submitted to both the California Office of Administrative Law (OAL) and the U.S. Environmental Protection Agency (U.S. EPA) for review and approval. The OAL approved the Trash Amendments on December 2, 2015. The U.S. EPA approved the Trash Amendments on January 12, 2016. The purpose of the Storm Water Trash Implementation webpage is to provide a repository for official documents for implementation of the Trash Amendments. The following are the Trash Amendment documents pertinent to storm water adopted by the State Water Board during the public process. 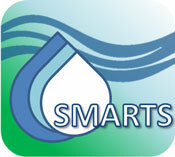 For more information, please visit our Storm Water Trash Implementation Page. ASBS stands for Area of Special Biological Significance. These are the 34 ocean areas monitored and maintained for water quality by the State Water Board. ASBS cover much of the length of California's coastal waters. They support an unusual variety of aquatic life, and often host unique individual species. ASBS are basic building blocks for a sustainable, resilient coastal environment and economy. For more information, please visit the ASBS Program Page. The following are intended as reference material for the Municipal Storm Water Program and as well as outreach materials on the permit for use by the public, storm water professionals, and other agencies.